While most folks tend to focus on the designs of the aircraft designers within the United States, Britain, France, Russia, Italy, and Germany, it might be easy to overlook another major player in the aerospace market - Sweden's Saab. Saab has been developing its own indigenous designs since before World War II. Even as the world entered the jet age and pushed through the sound barrier, Saab quietly developed their own designs that not only kept up with the performance capabilities of the rest of the world, but they also retained those capabilities essential to the defense of Sweden. In order to maintain its neutrality among nations, Sweden has ensured that it can mount a formidable defense against any aggressor including the extensive operations of its air force from dispersal locations among the stretches of highways and tunnels. The JAS-39 is Saab's latest indigenous design which also proves that bigger is not usually better. While other nations build larger and more complex aircraft, Saab took the best attributes of its successful Viggen series and took advantage in the significant reduction of size, weight and power requirements of modern avionics. 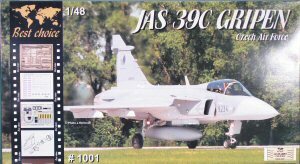 The JAS-39 Gripen offers the latest state of the art capabilities and armaments, but builds these capabilities into an airframe not much larger than Northrop's F-20 Tigershark. Like the Tigershark, Gripen is powered by the General Electric F404 engine that also powers the F/A-18 Hornet. Gripen is taking its place as the principal fighter within the Swedish Air Force, the aircraft is also being adopted by several other air forces including the Czech Republic. A more robust version of the Gripen, designated JAS-39C, was developed for the Czech Air Force to replace their aging fleet of MiG-21 interceptors. 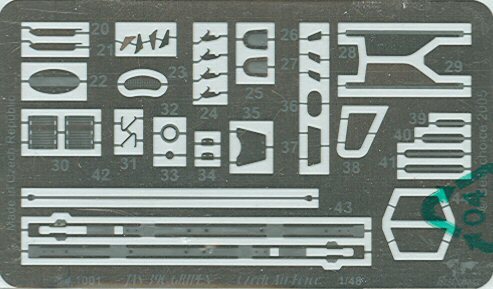 When I first learned of this kit, I was very curious how MPM's Best Choice would improve on Italeri's nice 1/48 Gripen kit. When the kit arrived in the mail, my curiosity was quickly satisfied and I must say that I'm VERY impressed with this kit! 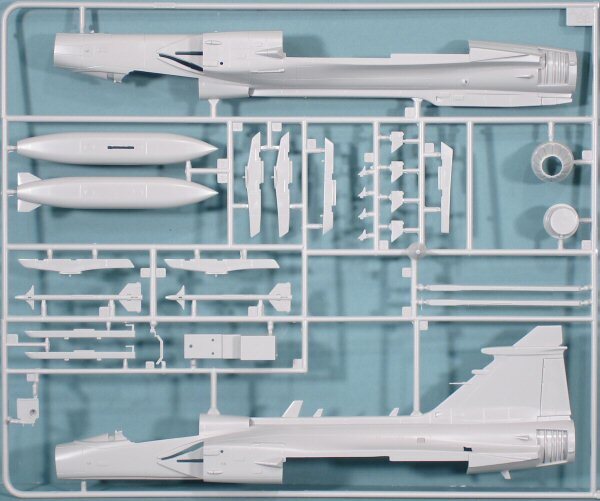 The basic kit is molded in light gray styrene and is presented on two parts trees, but most of the styrene parts will not be used! 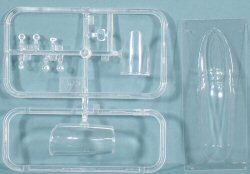 The original clear parts are also included and the kit also provides a pair of very clear vac canopies should you want to have a clearer view into the aircraft. 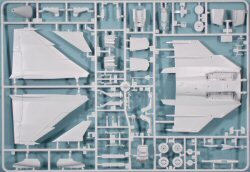 The polyurethane parts (resin) are quite an extensive set that includes a new cockpit tub, instrument panel and coming, sidewalls, ejection seat, nose and main landing gear wells, speed brake wells and speed boards, competely new F404 engine nozzle and afterburner chamber, weapons pylons, landing gear wheels, and much more. I can see why you toss most of the styrene parts! The photo-etch set is something else to behold. The cockpit set is printed in color! Up until now, Eduard was the only company producing color photo-etch and assuming that they didn't etch and print this set, there is another contender out there with color photo-etch capabilities. 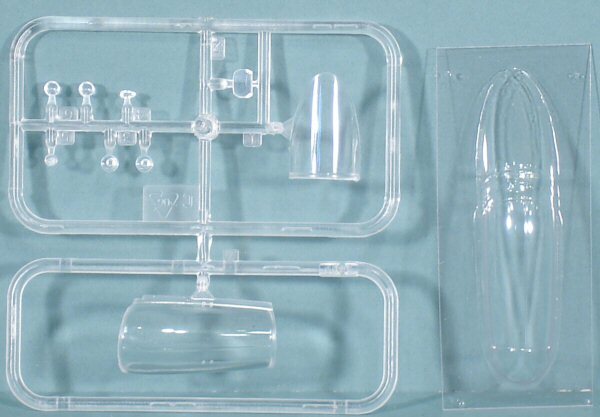 This set provides a very nice all-glass instrument panel, ejection seat handles, and slime lights - all in color. The second set of photo-etch provides rudder pedals, antennas, ejection seat details, and even missile rail details. 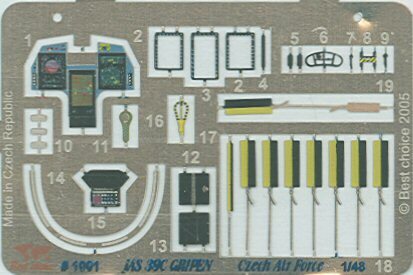 The decal sheet provides a nice extensive set of maintenance stenciling as well as subdued national markings and the nose numbers for ten different Czech Air Force JAS-39Cs. Then there are the instructions. MPM turns out some of THE nicest assembly instructions in the industry. The illustrations are very clear and they make use of colors as well as symbology to help identify actions needed in each step. I really wish the rest of the hobby industry would pay attention to the quality of these instructions. 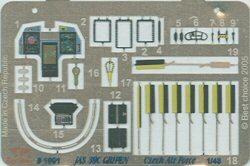 The eight-page instruction booklet is supplemented with a four-page full-color walk around of the JAS-39C to orient the modeler how everything should look upon completion. These two booklets are, in turn, supplemented with a set of four-view diagrams printed in 1/48 scale. Major kudos to MPM/Best Choice for this excellent documentation! 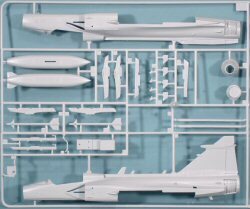 This is a beautiful kit of the awesome Swedish Gripen. I can't wait to hear how the aircraft performs against the F-16AM and Typhoon in upcoming Tiger Meets! More importantly, I hope we see a Czech Gripen wearing some colorful Tiger Meet colors soon! 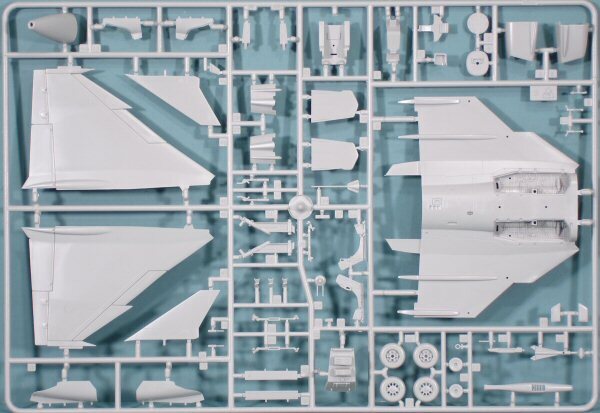 MPM has certainly done an excellent job with this kit and this is definitely a must-have for the modern fighter modeler! My sincere thanks to Hobbyshop.cz for this review sample!